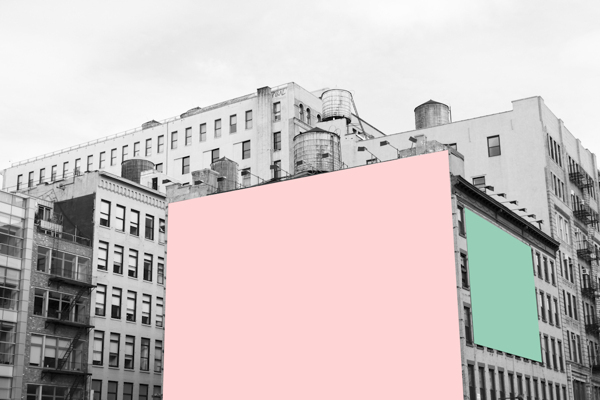 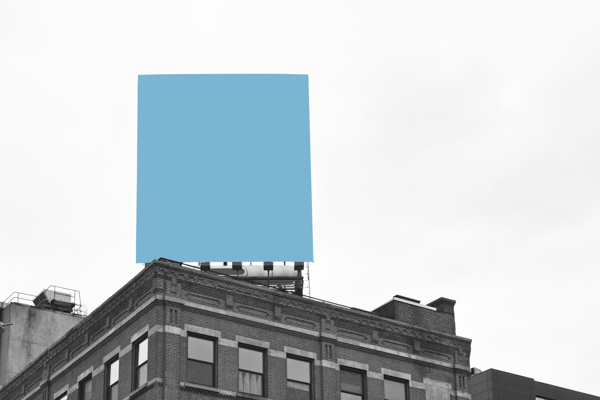 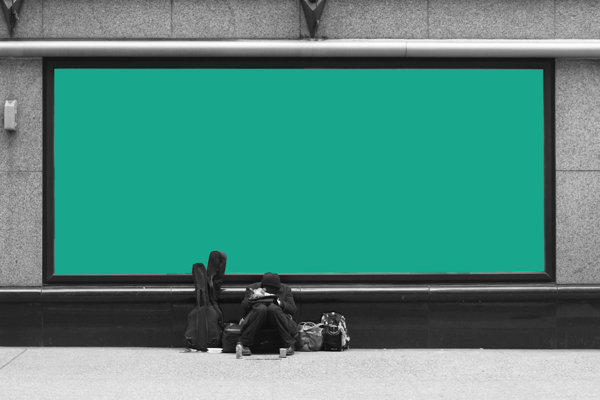 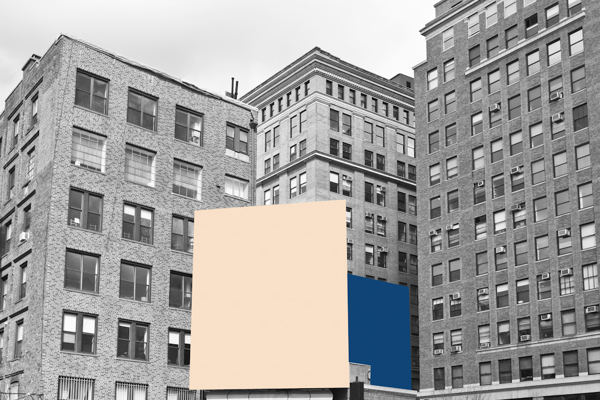 Photos of billboards replaced by solid blocks of color. 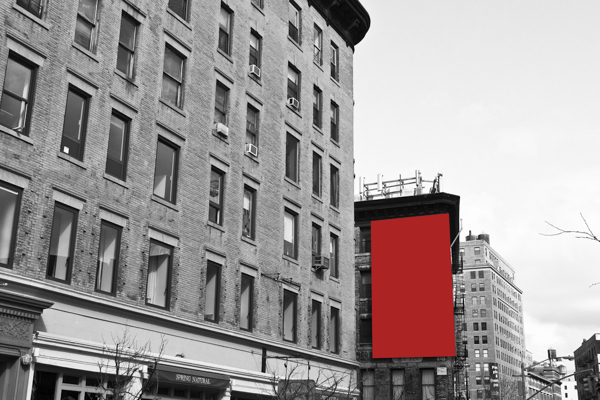 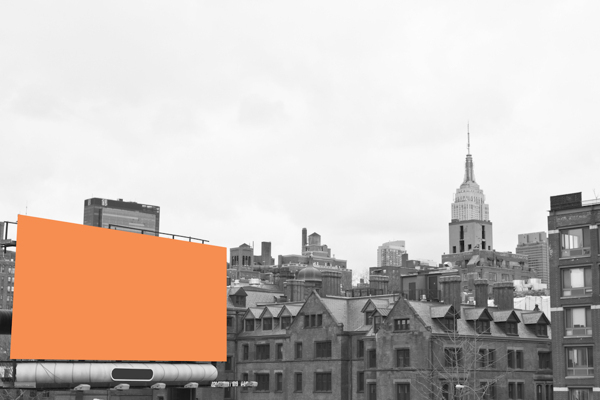 Outdoor advertisements are so ubiquitous in New York that they have almost started to become a part of the city’s architecture. 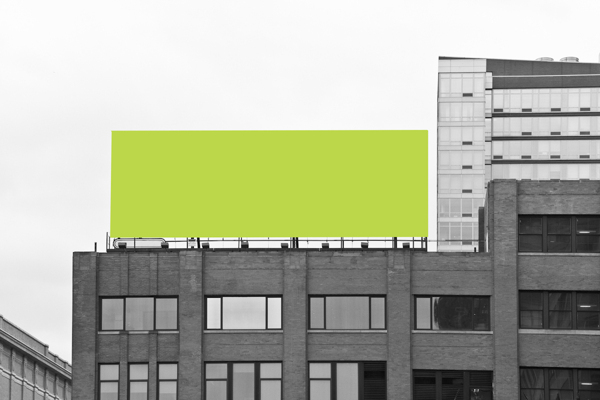 Residents of the city are so inundated with these messages that they hardly even seem to notice them anymore. 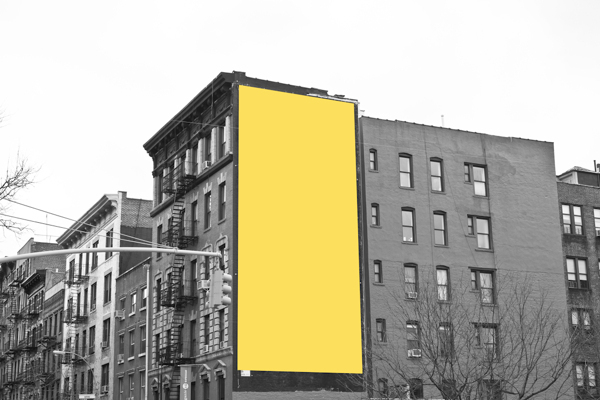 In these images, blocks of color replace the billboards in order to give a different perspective of the space occupied by these ads.